It's not to whiten the skin tone that I work so hard for. It's to enhance my complexion. WITH ALL THE WHITENING OPTIONS OUT THERE, WHY SNOW? When you purchase a lotion, what do you consider? Price? Fragrance? Moisurizing qualities? Packaging? I used to think that all lotions were basically just the same thing with different scents. I.e. If you wanted something extra moisturizing, you go with butter, for daily use, a light lotion with SPF, and for whitening, any bottle that says “whitening”. Pretty simplistic I know but I used to judge based on packaging, scent and affordability. I never took the time to consider whether or not their advertising claims were feasible in relation to their SRPs. I was so wrong. 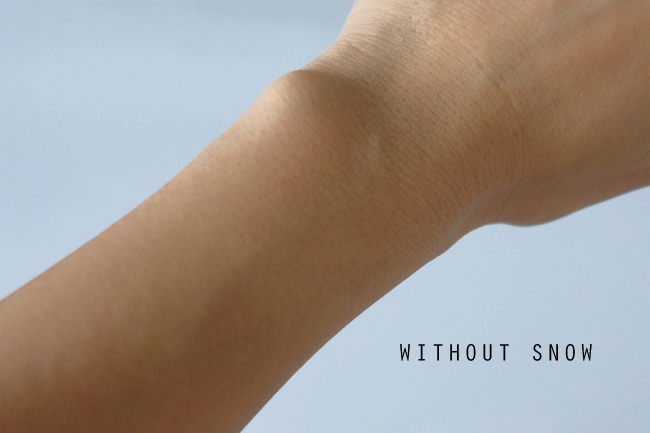 When it comes to lotions, whitening in particular, the old saying, “You get what you pay for” rings very true. Research is also beneficial especially when you start shelling out a bit more for skincare. But be careful. Au contraire, a high price tag doesn’t always equate to a good lotion either. Here’s something I found quite shocking: Did you know that ONLY Snow has 7 Active ingredients that are all Clinically Proven to Whiten Skin that's also effective in Anti Ageing? ↳SO, price. How much will it cost to enjoy these benefits? I found the price of the cream to be quite reasonable, it’s the lotion I found a bit pricey at first but after using it for over a month, I find that it’s highly justifiable. Think of SNOW as a concentrated version of all those other more affordable whitening creams because that’s what it is. Each bottle packs more punch than 10 bottles of “brand X” combined. ONLY SNOW has a concentration of 5% ALPAFLOR GIGAWHITE. That means guaranteed whitening after 12 weeks! Did you know that ALPHA-ARBUTIN alone already costs P125,000/liter?! Yep! If you look closely at the BEFORE AND AFTER pics, you'll notice quite a difference especially when it comes to pore size. I'm 36 (huhu) and as much as I hate to admit it, my skin (all over and not just the face anymore) is beginning to show signs of aging. #&%*!!!! So far, SNOW is the only lotion I've tried that was able to effectively tighten, brighten and even out my skin tone. It's an added expense to my beauty budget but I figure it's still cheaper and safer than lifts and surgery. After all, "Prevention is always better than a cure :P"
I've been hearing a lot of reviews about this brand but i haven't tried it yet.. Its pricey for a lotion, though the cream looks moisture-rich.. Is it mabango? First time to hear about this. I love the fact that it has anti-aging! We need that! 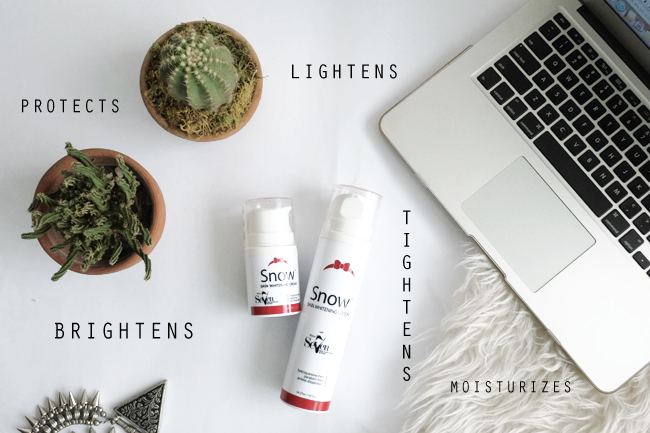 Read a number of reviews on Snow and your recent post all the more pushes me to make a purchase. Thanks for this. I heard about this product and you made a great review of it. This must be a really good skin care product for it combines whitening and anti-aging properties! This product looks promising.I am a little over thirty and I need these products now.I need to start saving up! Not really a whitening type of girl, but this looks like a great product! 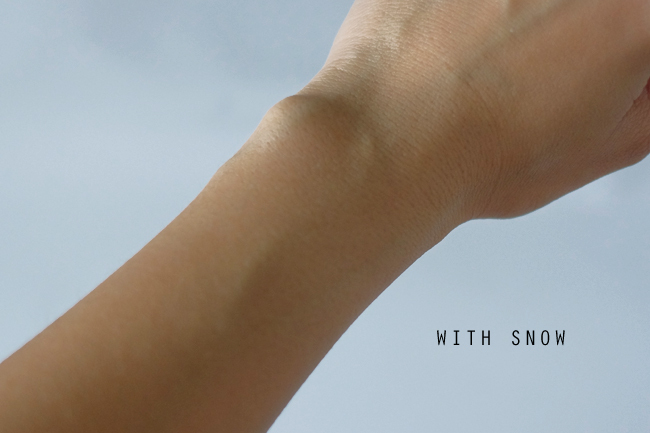 where is the snow pore minimizing toner?? meron pa ba?